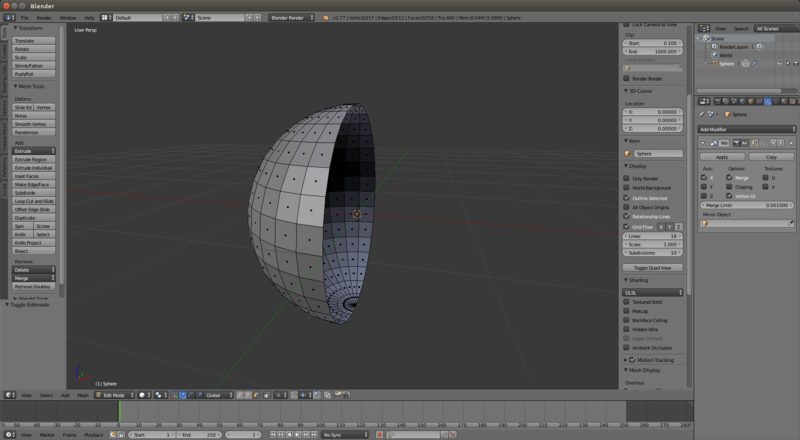 I made a circle in Blender and added a mirror modifier to it after deleting one-half of the circle. The mirror showed while in object mode, but when I switched to edit mode to start sculpting my character; the mirror disappeared. How can I make the Mirror Modifier work properly? You need to enable "Display modifier in edit mode". 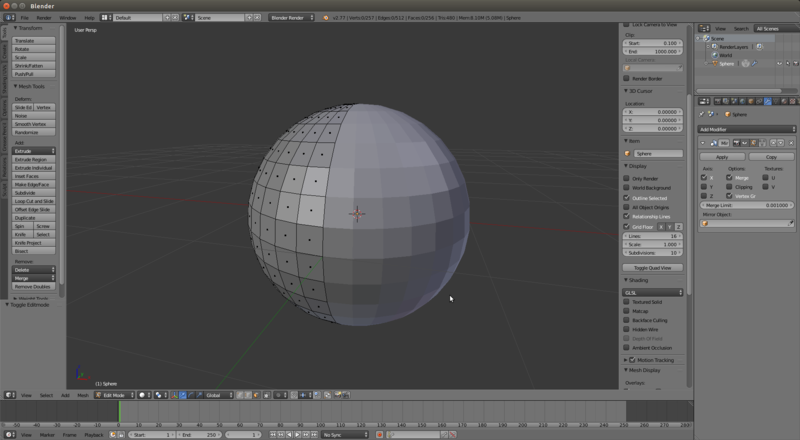 This icon is of a box with four orange corners, and can be found on the modifier node with the other visibility settings. For a detailed description on the use of these options read this page of the Blender manual. Not the answer you're looking for? Browse other questions tagged modeling modifiers mirror or ask your own question.